← Why do staff leave? (Or how to get the most out of your staff). Salamat Datang Ke Malaysia. Welcome to Malaysia… Kuala Lumpur, what a wonderful city. For me it is one of my most favorite places in the world. Having worked and lived here it has fond memories for me and is a fantastic place to be. 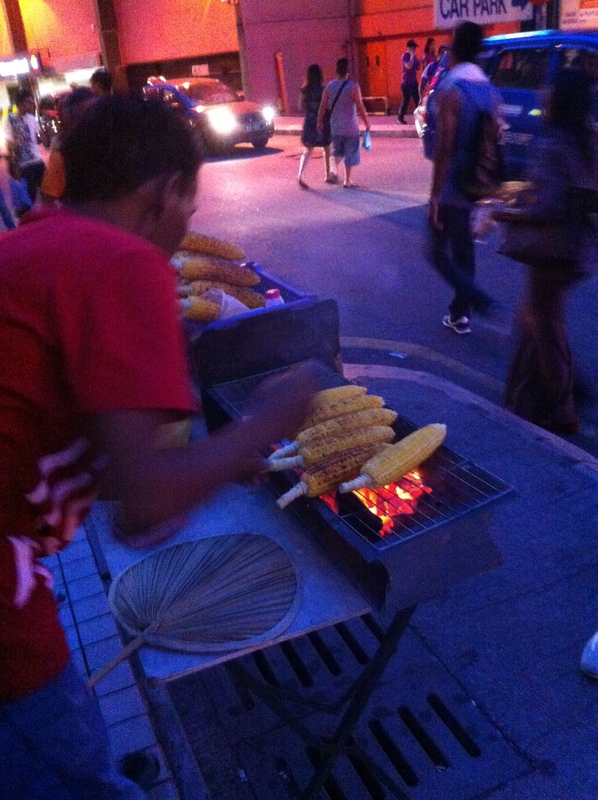 KL is a melting pot a different cultures, food, sights and smells. 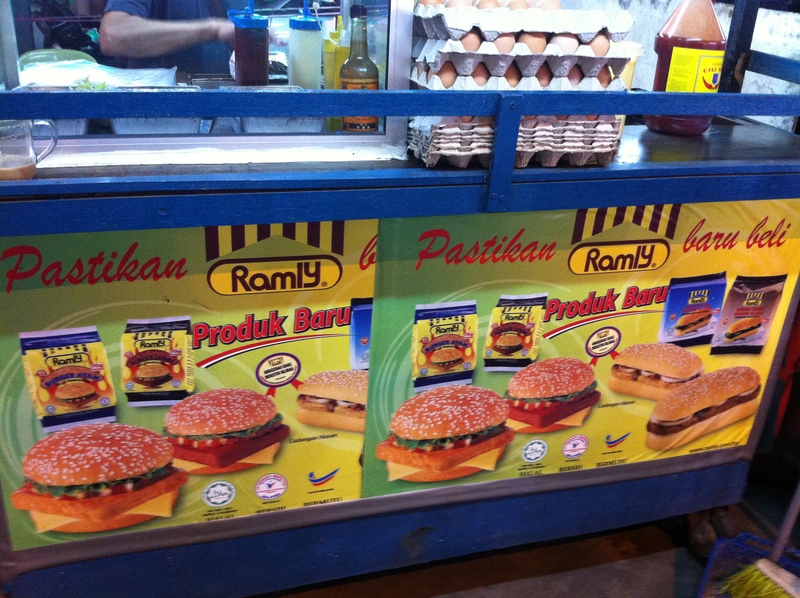 More developed than Vietnam but less developed and sterile than Singapore, in KL you can find anything you want. 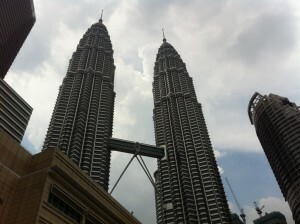 Kuala Lumpur is a place of great variety and contradictions but this is where in lies its charm for me. One moment you can be in a sprawling shopping mall walking past (but not often into for me!) shops named Gucci, Versace, Dunhill and 5 minutes walk away can be in an area with open drains with people washing dishes and cooking on the street. 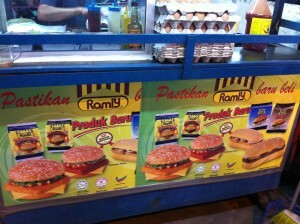 Whatever your preference and price range you can find it in KL and this goes also for food and drink. You can have dinner at a 5 star deluxe Shangri-La cooked by an ex-French Laundry chef for several hundred dollars and then walk 5 minutes down the road and have some amazing street food sitting on a plastic stool on the road paired with a cold Tiger or Carlsburg for a fraction of the cost of your starter. 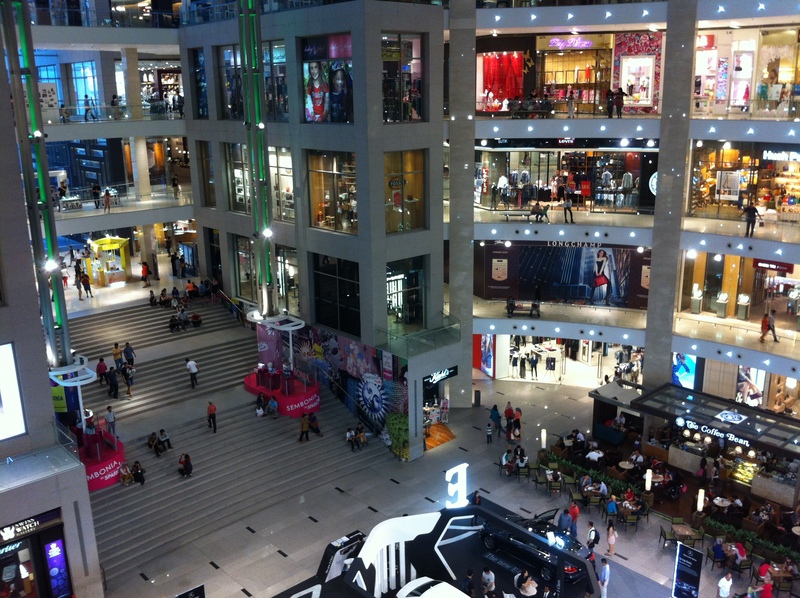 If you’re into shopping the two most up-market malls are Suria KCLL which is part of the Petronas Twin Towers and Pavillion which is at the end of Bukit Bintang and accessible by an overhead walkway to and from KLCC. 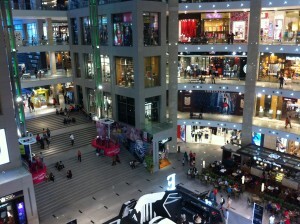 Other more value for money shopping centres are BB Plaza, Lot 10 and Sunei Wang which are all on or near Bukit Bintang. 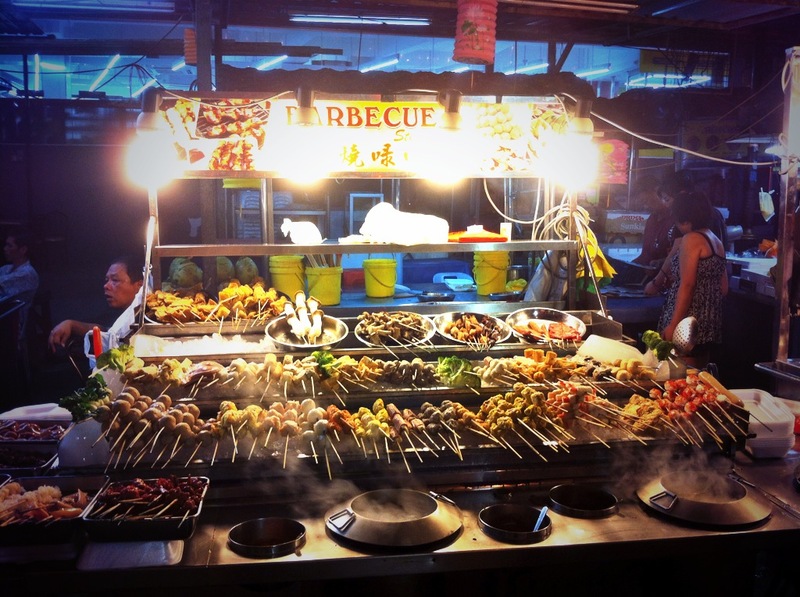 If you want to go for a more local and cheaper experience then Chow Kit Markets are fun and about a 15minute (15rm) taxi fare away but be prepared to barter especially if you look like a tourist! 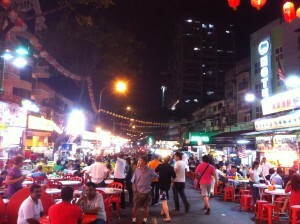 The main street where all the action is is Jalan Bukit Bintang. Jalan translates to something like “way” and you can “jalan” yourself if you are going somewhere. 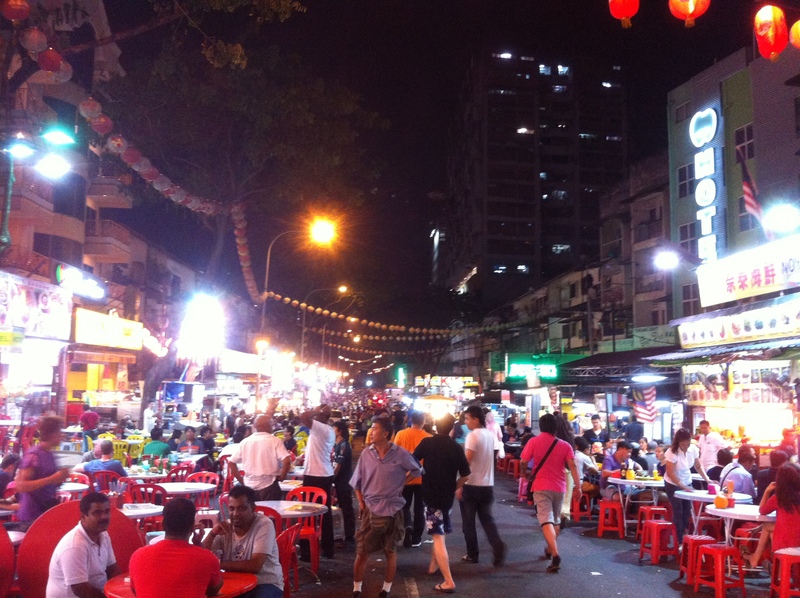 Behind Bukit Bintang is Jalan Alor, this is a whole street just full of street food, whatever you want here you will find it. If there is a heaven I think it will be some sort of ground hog day with me sitting here having some amazing food with great friends all washed down with some cold bottles of beer. After you’ve eaten yourself silly you can then head down to Jalan Ceylon where you will find a lot of bars and more up-market restaurants. My favorite place on Jalan Alor is Restoran Dragon View and their crab is awesome. A great snack to be found everywhere are charcoal grilled corn with salt and butter and a Ramley burger although probably the reason for many heart attacks can’t be beaten, especially after a few pints on Jalan Ceylon, just make sure you get ‘the works’! If Indian food is more to your taste then off Jalan Ceylon is Jalan Nagasari where there are a few good curry houses open 24 hours. The best of which used to be Nagasari Curry House. 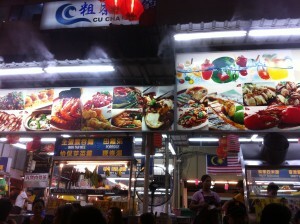 If you love food and haven’t been to KL, hurry up and book your ticket.